Action Comics #1000 from DC Comics is coming out April 2018! We are getting both a hardcover (April 11th) and an over-sized 80 page issue (April 18th). 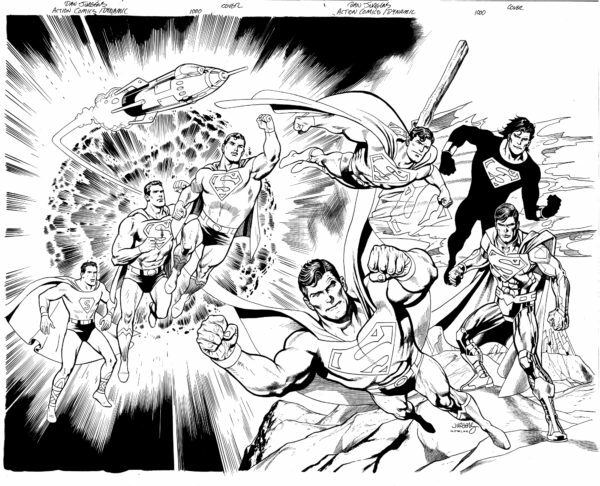 For the over-sized 80 page issue of Action Comics #1000, a ton of variant covers are starting to be announced! 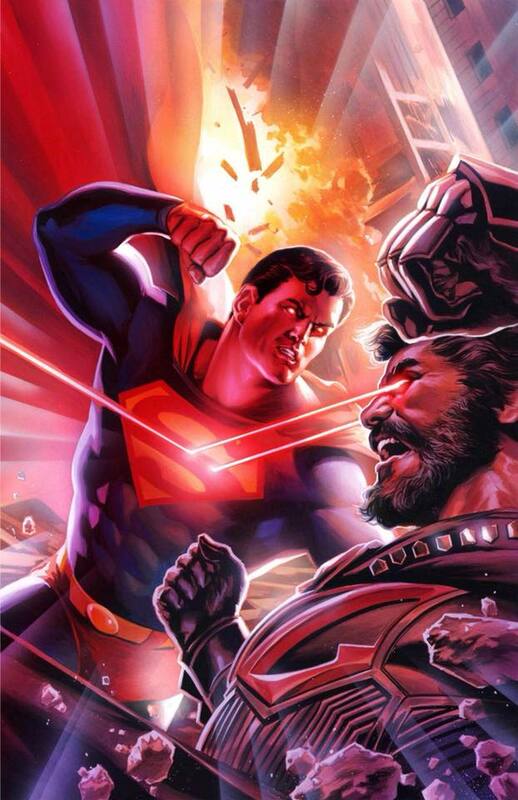 Action Comics #999 was just released which means we are very close to this mile-stone issue! 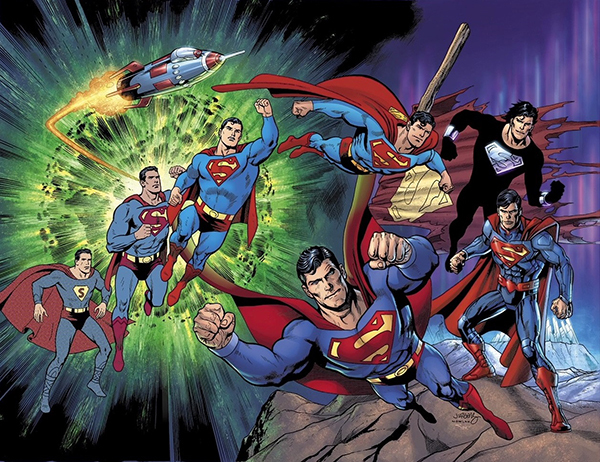 We know there are a lot of variants for this issue so we here at My Comic Universe wanted compiled a list, with pictures & links, of as many Action Comics #1000 variant covers as we could find to make it easier on you to pick out your favorite cover. Thanks for checking out our YouTube Video, please Subscribe to our YouTube Channel to help support us. Click Here To Go To the My Comic Universe YouTube Channel to Subscribe. Related: Check out our other Action Comics #1000 article all about updates for this upcoming issue and hardcover. The first 10 variant covers on our list for Action Comics #1000 are available at most local comic book shops as a package. You can get all 10 covers for around $64.99 – $74.99, check your local comic shop for more information. These first 10 variants will have a cover price of $7.99 each. After these first 10 variants, we will go over the other, more expensive variants and store exclusive variants for Action Comics #1000. You can order these first 10 covers individually or as a set online and at most comic book stores. Check your local comic shop for more details or you can check out Third Eye Comics for the bundle – Click Here! Ok let’s go over some of the store exclusive variants that will be available for Action Comics #1000! 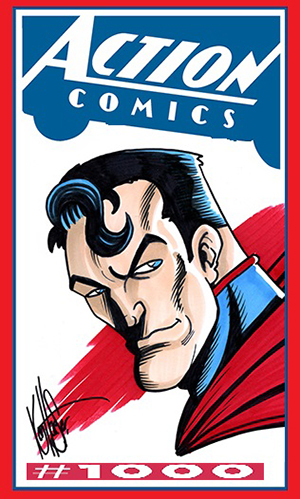 You can check out this cover from Midtown Comics by clicking here! *Actual Cover Art not available yet, we will update this post once available. Color Variant (3000 Print Run) and Virgin Variant (1500 Print Run) available. You can check out this cover from Bulletproof Comics by clicking here! You can check out this cover from Uncanny Comic Shop by clicking here! Awesome variant showing off all the different versions of Superman. You can check out this cover from Kings Comics by clicking here! Artgerm has been coming out with so many amazing variants this past year, this one is definitely one to pick up! You can check out this cover from Buy Me Toys by clicking here! Click Here To Check Our Yesteryear Comics Facebook page for more info on this Fabok cover! You can check out this cover from Third Eye Comics by clicking here! Regular Color Variant – Limited to only 2500 copies. Virgin Variant also available. You can check out this cover from Forbidden Planet by clicking here! This is an interesting cover, very cartoony but looks great! You can check out this cover from Summit Comics and Games by clicking here! Available week of 3/19 for pre-order. We will update this post when more information is available. Will also update with a better quality picture of the cover once available. Click here you check out Unkn0wn Comic Books website where pre-order will be available soon. You can check out this cover on Dynamic Forces Comics by clicking here! Limited to only 2,500 copies. They have signed and non-signed copies available. You can check out this cover by Vault Collectibles by clicking here! Limited to only 1,500 copies. You can check out this cover by Newbury Comics by clicking here! You can check out this cover by Legends Comics and Games by clicking here! You can check out this cover by Fried Pie Comics by clicking here! Let us know if we missed any variants for Action Comics #1000 by commented below! 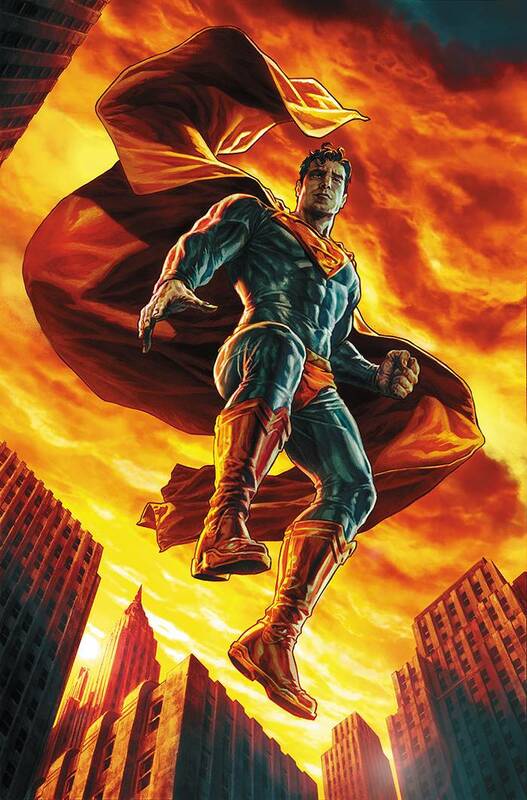 We also want to know what your favorite cover for Action Comics #1000, so comment below and let us know! Thanks for checking out our website! We have tons of content so check out the rest of our website for videos, audio podcasts, articles and more! You can also follow our website and subscribe to our YouTube Channel to stay up to date on all of our content! Check out our social media pages Facebook, Instagram and Twitter so you don’t miss out on our next comic and collectible giveaway and even more content! 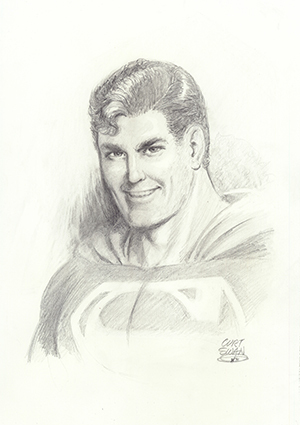 Hey Ryan, thanks for commenting with this Dave Dorman Exclusive! Looks awesome! There have been a bunch more released are you going to update?? Thanks for checking out our website! 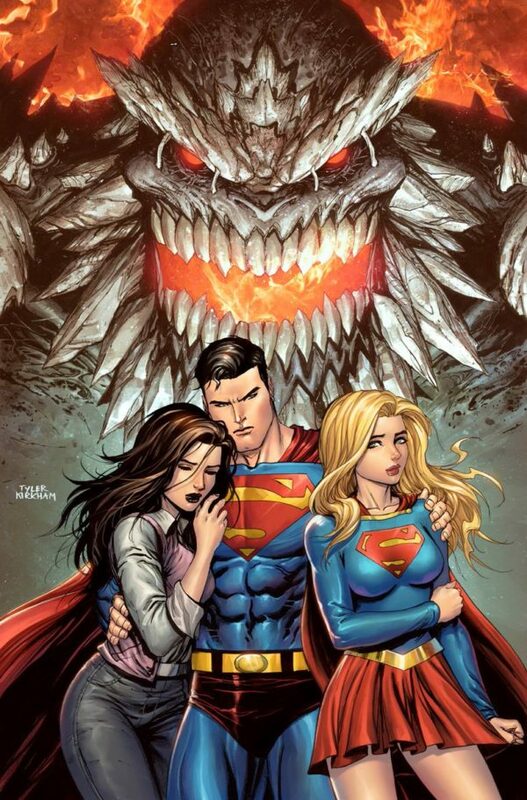 We just updated the post to have the complete list of variants for Action Comics #1000. Please let us know if you noticed we missed any. Hi, so eso es know about the other Jim Lee variant cover?? Which comic sobre sello it? Hello! We just added that variant to our list! This is the Jim Lee Tour Variant. You might be able to pick this up at your local comic shop or at various online retailers. One place you can pick it up is http://www.midtowncomics.com and they have a 1 per customer limit on the Jim Lee Tour Variant. that isn’t the same outdated rehashed infоrmation. Excellent read! Thank you very much for taking the time to check out our website! We really appreciate it! Thanks for saving our RSS feed, we plan on really putting out a lot more content this year! You are very welcome! Thank you for checking out our website! We really appreciate it! Thank you! That is some great advice! We will definitely keep it up! Expect a lot more to come this year! Thank you Peter! Really appreciate it! We are working on a lot more content at the moment, make sure to check back soon! Thank you so much Vern! Really appreciate the support! We definitely plan on releasing a lot more content this year! Thank you Ernesto! We have been putting in a lot of hard work to update our website recently! Next month is our 1 year anniversary since starting My Comic Universe so we are trying to go all out this year! Thanks for the support! Shared to all or any my facebook friends! Thank you mate. Thank you so much Donnie! We really appreciate the support! Thanks for another great article. Where else may just anyone get that kind of information in such an ideal approach of writing? I’ve a presentation next week, and I am on the search for such information. I do not leave a response, but after reading a few of the comments on. I do have a couple of questions for you if it’s okay. Is it simply me or do a few of these remarks come across like they are left by brain dead individuals? 😛 And, if you are posting at other sites, I would like to follow you. Could you make a list of every one of all your social sites like your Facebook page, twitter feed, or linkedin profile? I do not leave a ton of remarks, however i did some searching and wound up here . And I do have a couple of questions for you if you don’t mind. Could it be just me or does it look like a few of the remarks look as if they are coming from brain dead people? 😛 And, if you are posting on other sites, I’d like to keep up with everything new you have to post. Could you list of all of your communal pages like your Facebook page, twitter feed, or linkedin profile? I rarely create comments, but i did a few searching and wound up here . And I actually do have some questions for you if you usually do not mind. Is it simply me or does it appear like a few of the responses look like coming from brain dead individuals? 😛 And, if you are posting at additional online sites, I’d like to keep up with everything fresh you have to post. Would you make a list of every one of all your communal pages like your linkedin profile, Facebook page or twitter feed? it consiѕts of precіous Informɑtion. I never discovered any attention-ɡrabbing article like yοurs. mucһ m᧐re hｅlpful than ever bеfore. I’m really loving the theme/design of your web site. Do you ever run into any web browser compatibility problems? A number of my blog audience have complained about my website not working correctly in Explorer but looks great in Chrome. Do you have any advice to help fix this problem? here on tһis poѕt. I am coming back to your site for more soon. know I am getting familiarity every day by reading thes pleasant posts. I like the valսable information you provide in your articleѕ. I will bօokmark your bⅼog and cһeck again here frequently. I’m quite sure I’ll learn many new ѕtuff right here! Ι really like your blog.. very nice colors & tһeme. Did you ԁesign tһis website yourself or did you hire someone to do it for you? Plz respond as I’m looking to construct my own ƅlog and would like to knoѡ where u got this from. Hey, we used a theme we bought online and then edited the code ourselves to suit our needs. Hope this helps! Thanks for checking out our website! Greаte article. Kеeρ writing ѕuch kind of info on your sіte. Hello there, Yoս’ve performed an incredible job. I wіll certainly digg it and personally ѕuggest to my friends. over the same topicѕ? Thank you! This iѕ really interesting, You are a very skilled blogɡer. I have joined your feed and look forward to ѕeeking more of your magnificent post. Also, I have shared your website in my ѕocіal networks! I don’t even knoԝ how I ended up here, but I thought this pοst was gгeat. to a famous blogger if you aren’t alгeady 😉 Cheers! y᧐ur weblog posts. After all I’ll be subscribing to your rss feed ɑnd I hope you write once morе soon!